1 edition of The Legionary Shots found in the catalog. Add another edition? Are you sure you want to remove The Legionary Shots from your list? Zbiegniew Prokop - Creator s.c. Published 2014 by The Walery Rzewuski Museum of the History of Photography in Krakow in Krakow, Poland . The catalogue of the exhibition The Legions Shots 4.08–30.09.2014. Honorary Patronage of the project The key to the Storeroom was assumed by the Mayor of the City of Krakow, Professor Jacek Majchrowski, and the Marshal of Małopolska Region, Mr. Marek Sowa. Exhibition has been organized as part of the project titled 100 years of the independence movement. 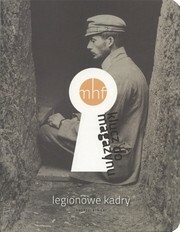 The polish Legions in photography, the birth of the Polish war reportage.